Classic green Tent inn tents situated in an enclosed and monitored area are available in two versions – for two persons or the XL for three persons. The tents are equipped with sleeping pads (for two or for three in the XL tent). Blankets are also available for a small refundable deposit at the reception office. The receptionists will even wake you up on demand, just in time for your favorite concert. Thanks to the "Black" concept you'll be able to sleep longer than usual, as the tent lining reflects sun from the outside. On the inside, it keeps 99% darkness even during the sunlight! The "Fresh" concept helps to keep the temperature lower and allows the air to flow inside of the tent. The tents situated in an enclosed and monitored area are available in two versions – for two persons or the XL for three persons. All tents are equipped with sleeping pads (for two persons or for three in the XL tent). Blankets are also available for a small refundable deposit at the reception office. The receptionists will even wake you up on demand, just in time for your favorite concert. The safety lockers Lock Inn are ideal for storing your valuables. 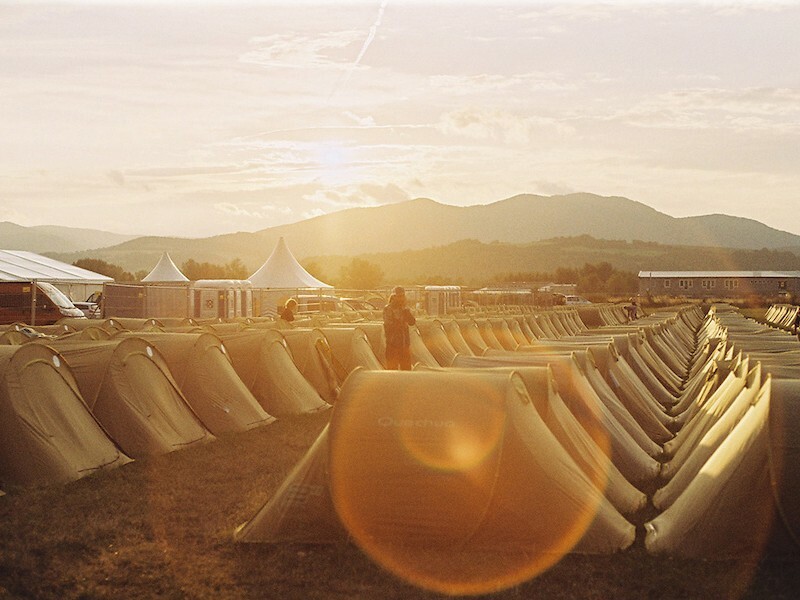 They are situated in 24 hours a day guarded tent with its own reception. Each locker is equipped with two electricity sockets ideal for charging your phone, camera or computer. One locker suits two persons.